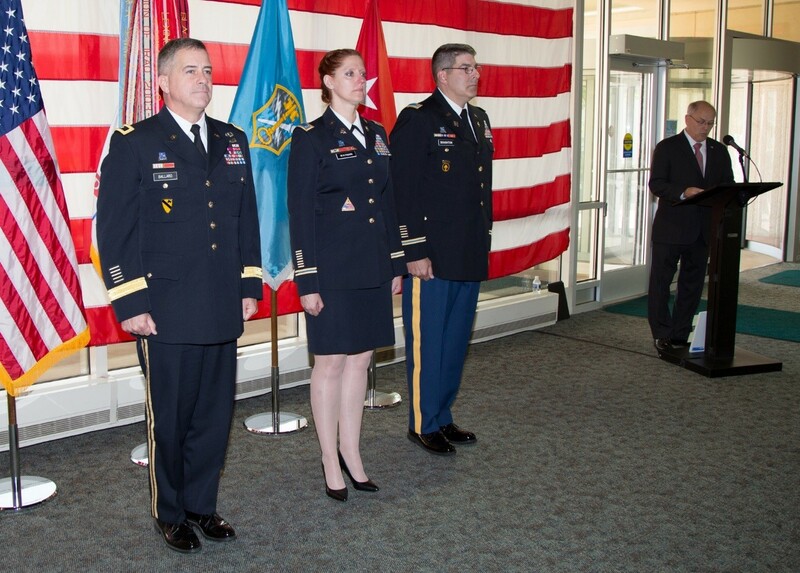 FORT BELVOIR, Va. -- The U.S. Army Intelligence and Security Command (INSCOM) welcomed a new command chief warrant officer during a change of responsibility ceremony at the Nolan Building, June 30. Chief Warrant Officer 5 Kevin G. Boughton, assumed the role of Command Chief Warrant Officer from Chief Warrant Officer 5 Wendy A. Wayman during a ceremony officiated by Maj. Gen. Christopher S. Ballard, INSCOM commanding general. 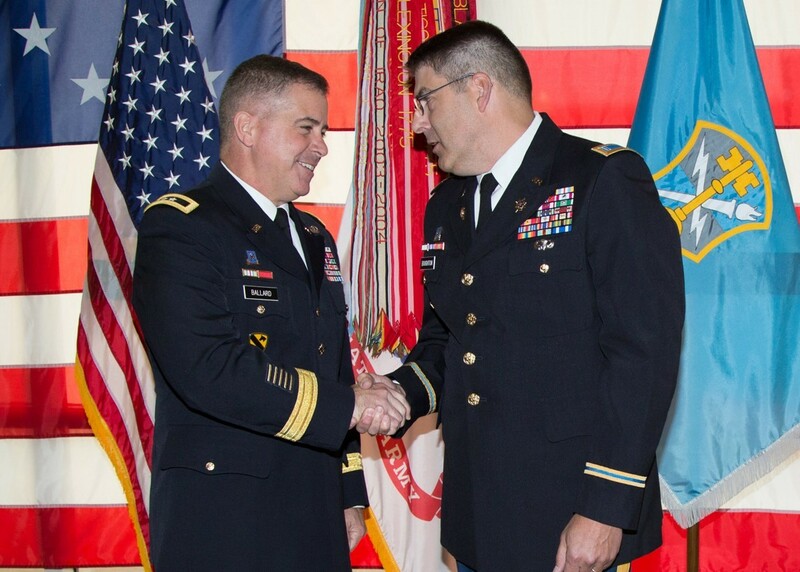 "We will reap the benefits daily of our new command chief warrant officer's wisdom and technical expertise," said Ballard. "Chief Boughton joins us here at INSCOM with a fabulous tool kit in hand." Boughton returns to INSCOM by way of Fort Huachuca, Arizona, where he served as chief of the Military Intelligence Warrant Officer Training Branch, 304th Military Intelligence Battalion, 111th Military Intelligence Brigade. In his remarks, Boughton thanked Ballard for the opportunity to work with the command and made a pledge to INSCOM personnel. 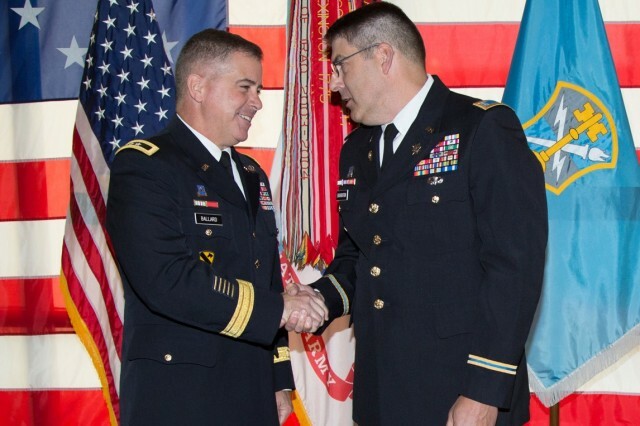 "My promise to the men and women of INSCOM is to be an engaged servant and leader," he said. "Putting the needs of the command and accomplishment of the mission comes above all else." 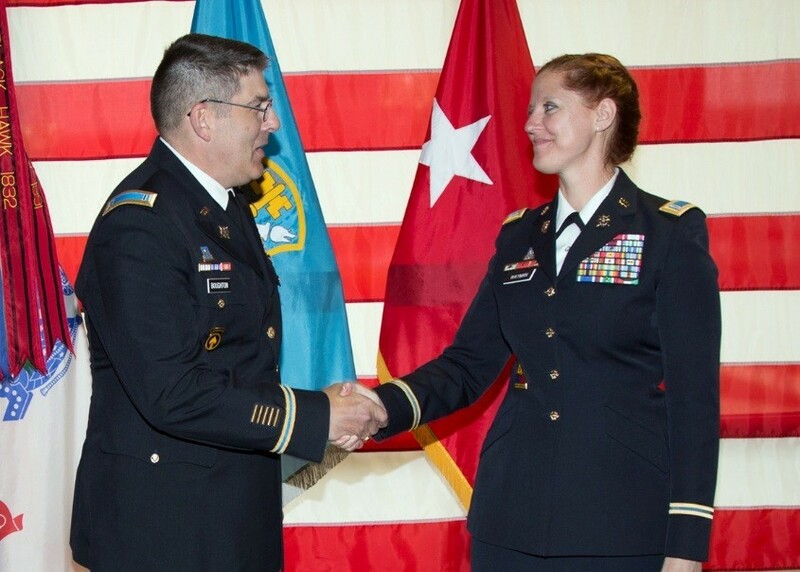 Wayman departs the command after serving over two years as INSCOM's first command chief warrant officer. 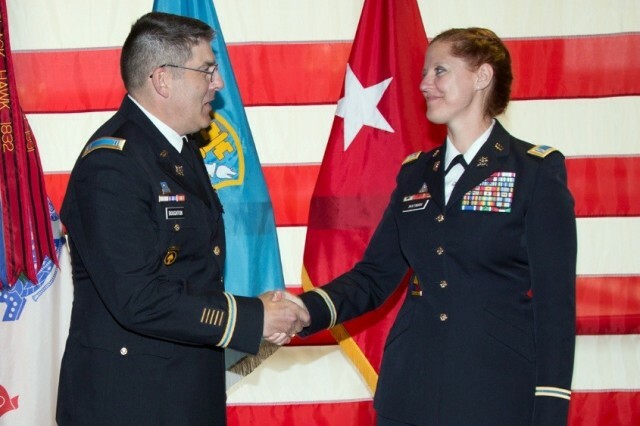 She took time to reflect on accomplishments during her assignment, highlighting the emerging role of warrant officers within the intelligence community. "We have been able to continually improve the quality of our force," Wayman said. 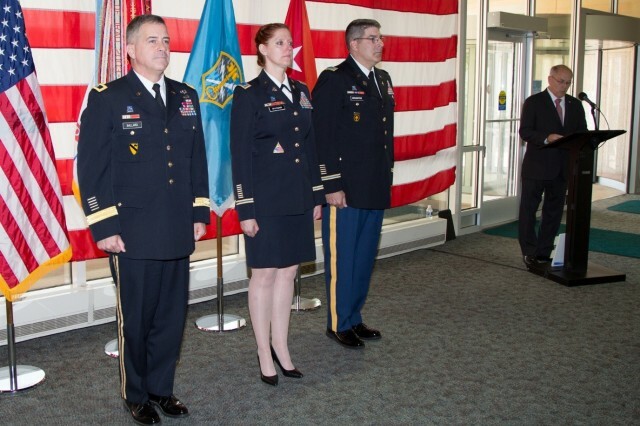 "I know that future warrant officers will be able to succeed far beyond our generation." Wayman's new assignment is with the Army Future Studies Group in Arlington, Virginia.